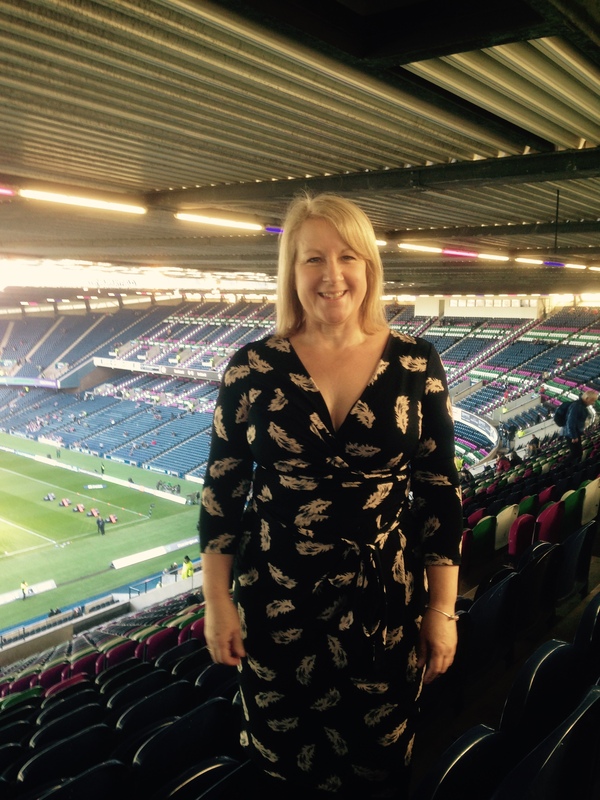 A trip to Scotland for the final round of the Six Nations saw me finish as I’d started with My good friend Monica accompanying me. I’d bought 2 tickets when planning my 5 games in 5 countries anticipating that she wouldn’t be able to resist a weekend in Bonnie Scotland. We both have family across the border which is more of a pull for us both. A civilised train journey was the chosen mode of transport. The journey up was smooth, I’m writing this as we travel home, First Class, which I have to say is great! Something I could certainly get used to! 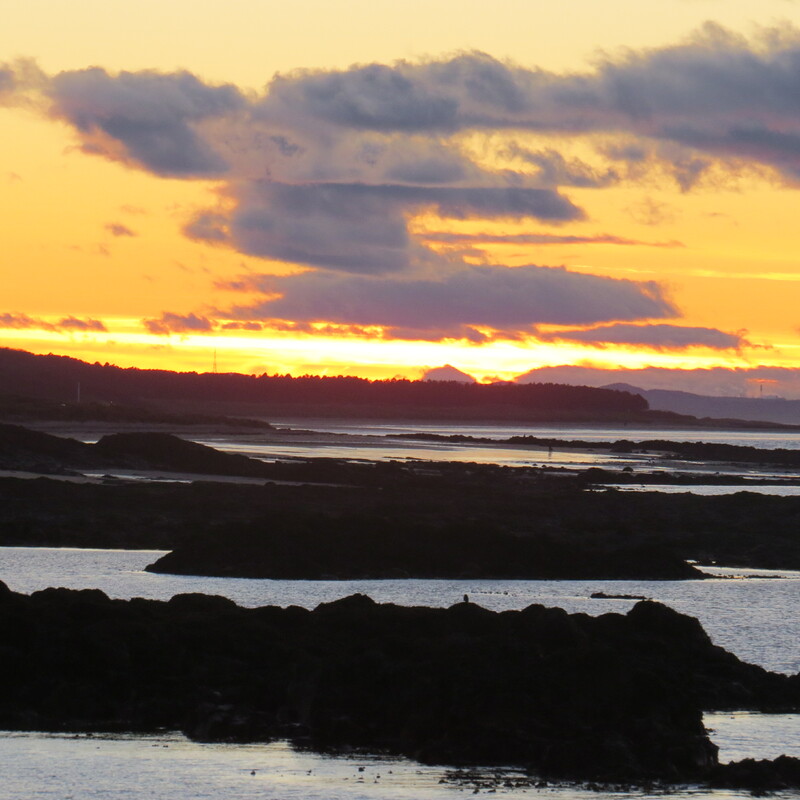 We left Billericay at around 11.30am and arrived in North Berwick at about 6:30pm, I am going to have to put a non-sport photo in here,the sunset was stunning! We stayed with my older brother and family, and enjoyed a lovely home cooked meal (very unusual for me, I don’t cook!). 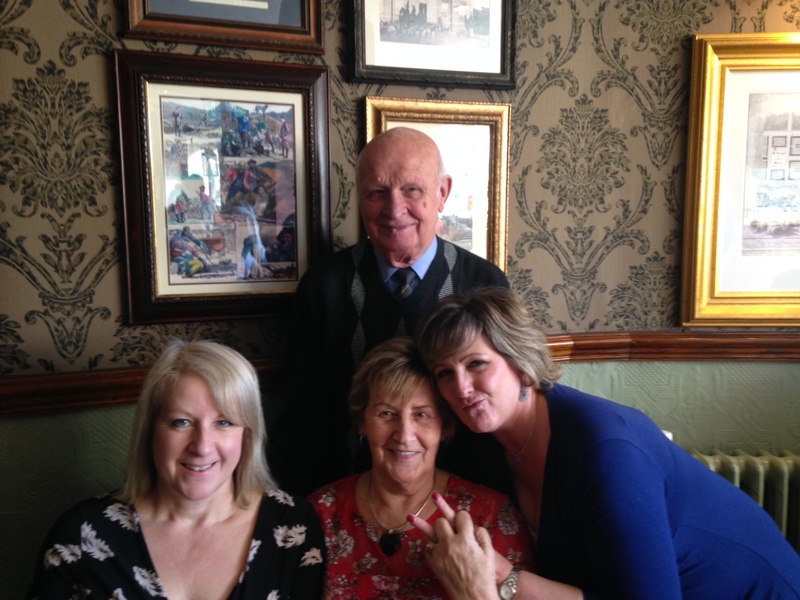 Game day meant an early trip into Edinburgh to meet Monica’s parents – Andrew and Celli for brunch. 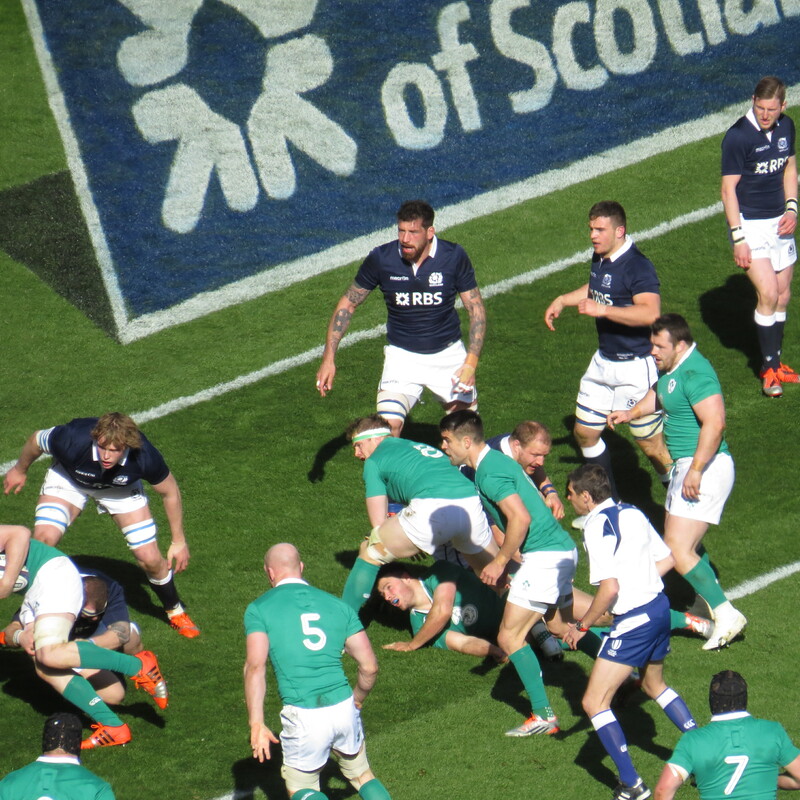 We met at Haymarket station being the nearest to Murrayfield and found a table in the Haymarket Bar where we had a huge breakfast – really good value! It was an eye opener that the pub was full of rugby fans drinking beer before 11am, bearing mind I don’t drink so may not be one to judge – but beer for breakfast?? 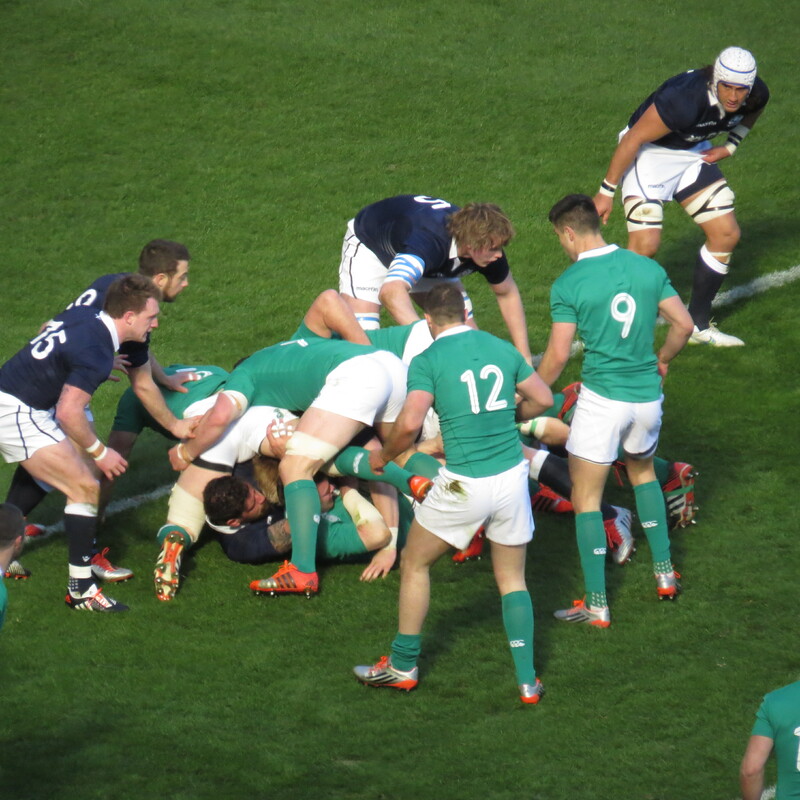 We parted our ways having had a lovely 90 minutes together and Monica and I headed to Murrayfield. A lot of people were heading to the stadium early to take in the atmosphere and of course the Italy v Wales game on the big screens. 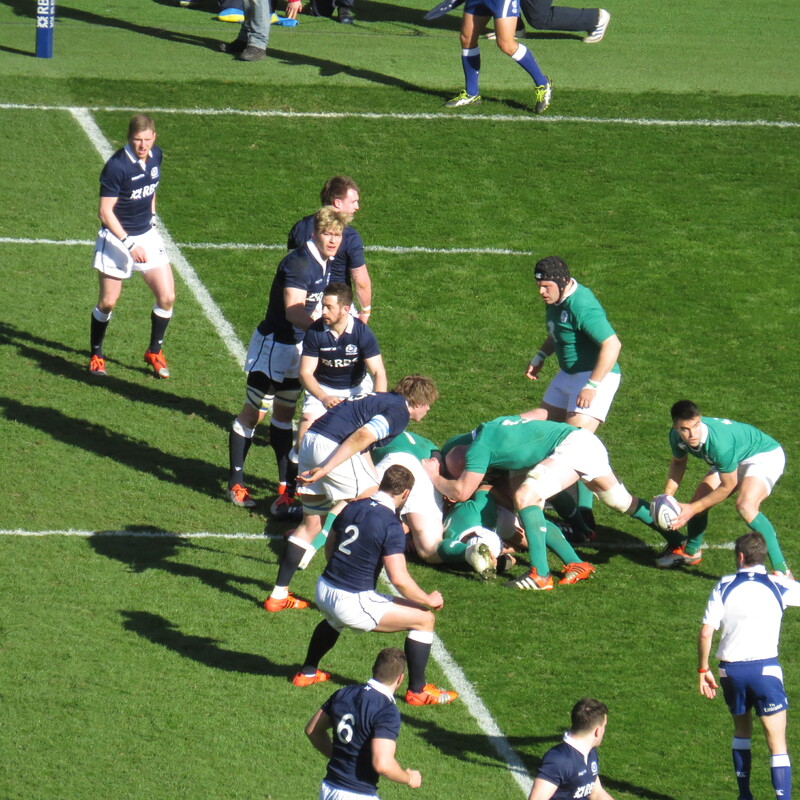 I’ve been to Murrayfield a few times before. To watch the Magic Weekend Rugby League games, every minute of every one. To see Saracens beat Edinburgh 45 nil, I stood at the side of the pitch for that one, which was an unusual but great experience. As far as international rugby goes I have been as an England fan and I can honestly say I pretty much hated it! 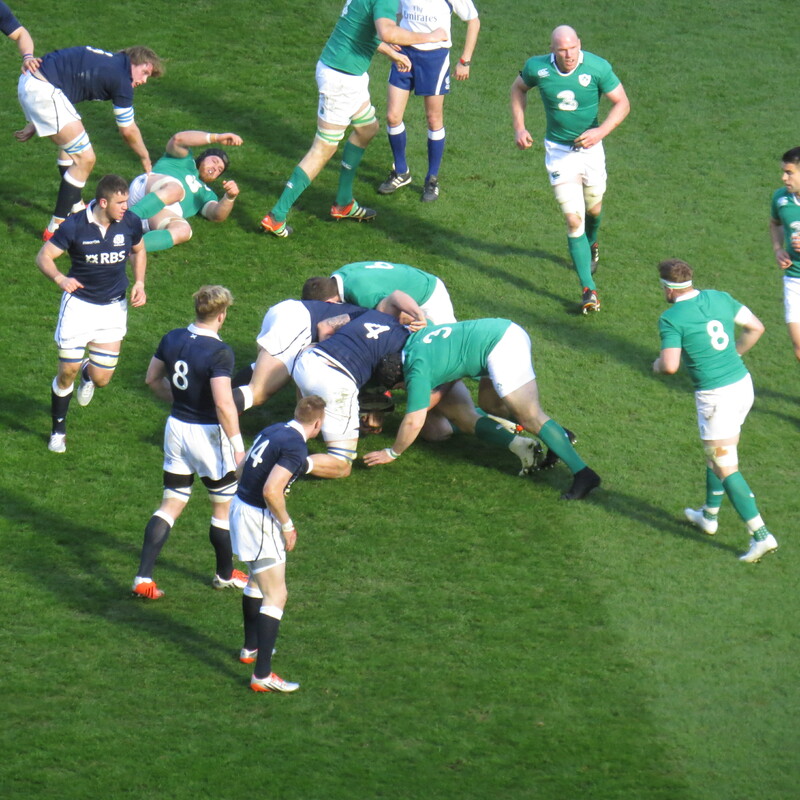 I had higher hopes for this time round, I’m learning more and more that there seems to be a ‘special’ atmosphere reserved purely for England fans. 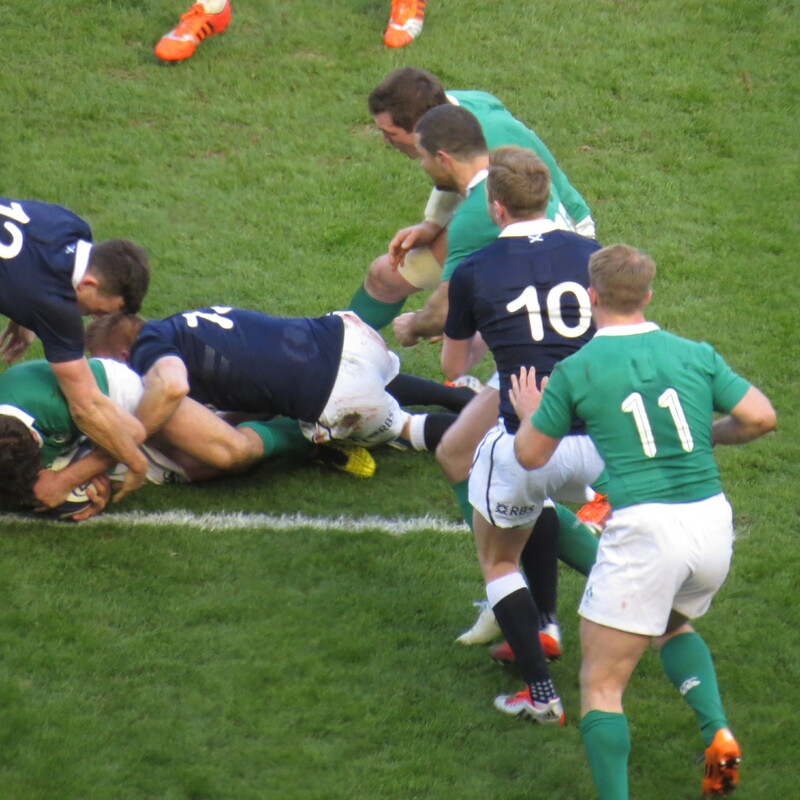 This was my 3rd time watching Ireland this 6 Nations and they were of course watching their team with the hope of a 2nd Championship in a row. I’d bought tickets for the West Stand having mis-read the stadium lay out, the stand is a fair way from the pitch, yet still a good view. Our seats were in row WW – not 3/4 of the way up as the steward told us, but right at the top the stand. Phew climbing stairs is an altogether different form of exercise! Oxygen would’ve been handy by the time we got there! What was great however was that we could sight see as well as watch the game through the gap in the roof of the East Stand! Ideal! 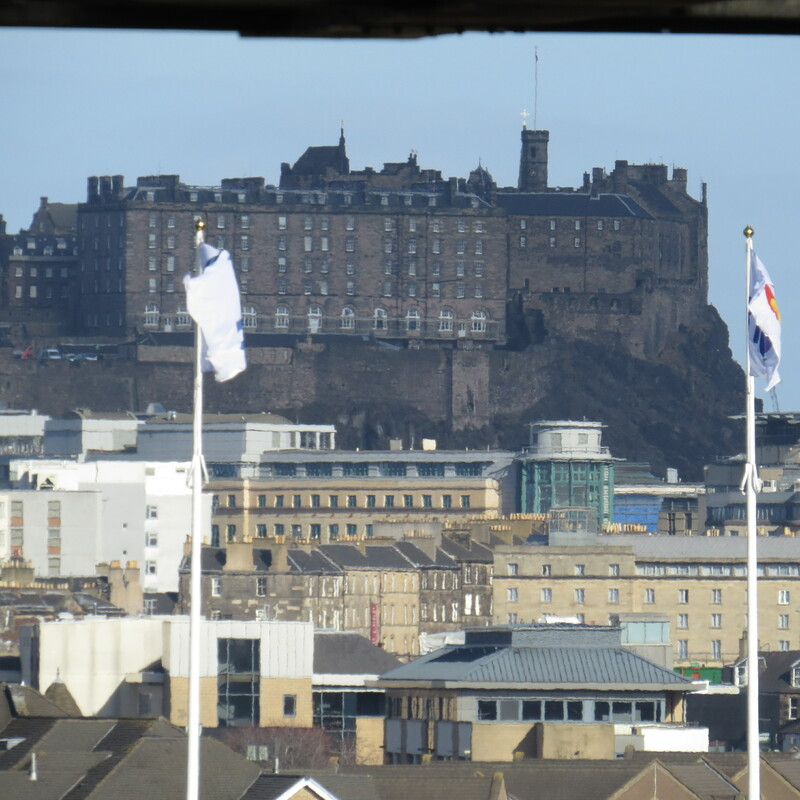 You can see most of the amazing buildings, including the castle! 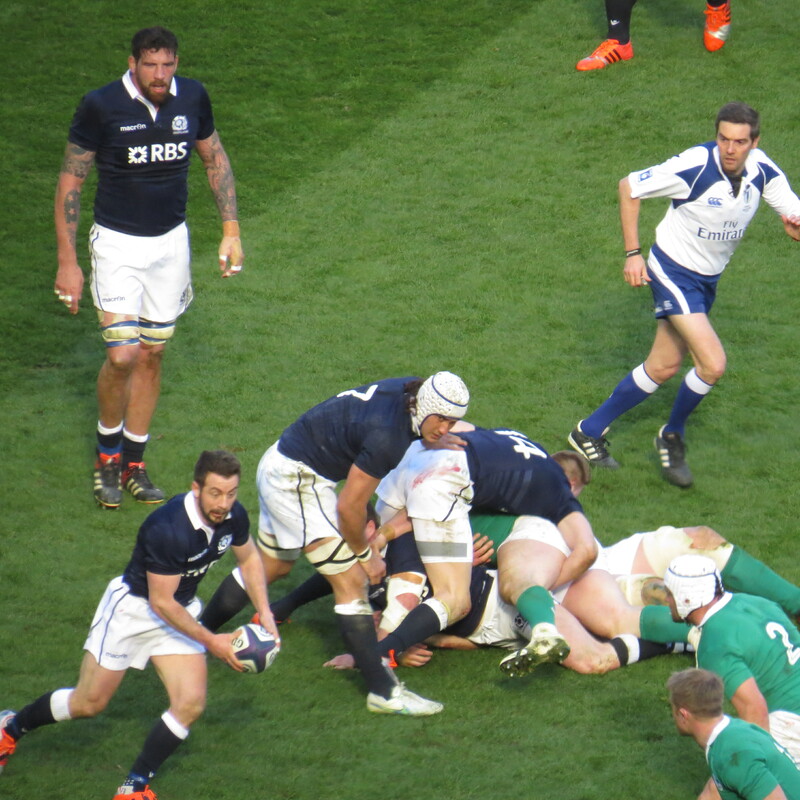 I still felt a little unsure of how I’d find the whole thing, but I have to say the pre-match build up was a bit special – almost as good as The Millennium! It was pretty spectacular! 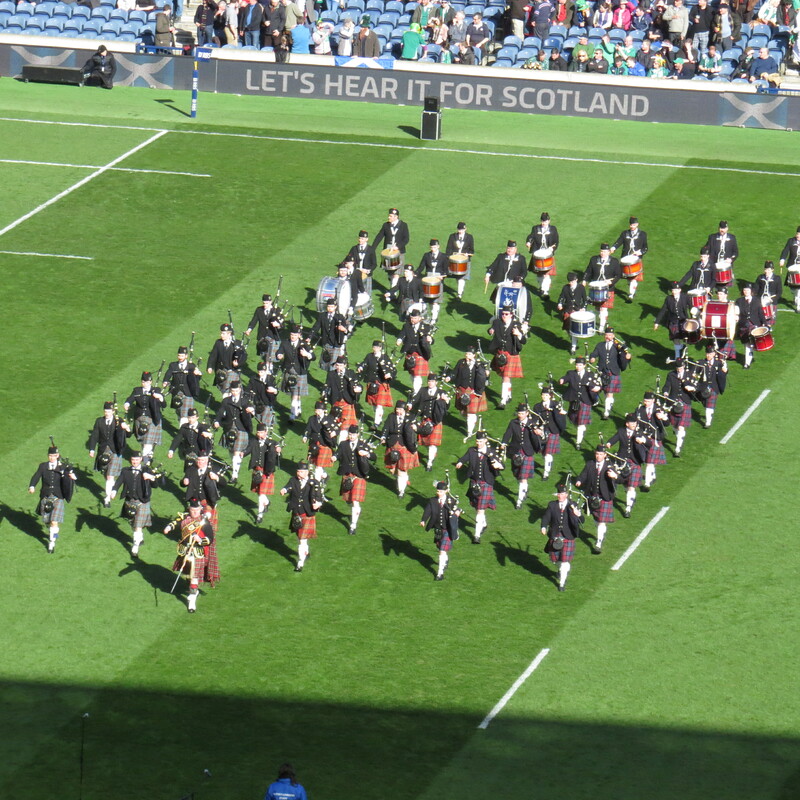 What looked like an army of kilted bag pipers marched onto the field and took their position, a brass band doing the same on the other side of the pitch. 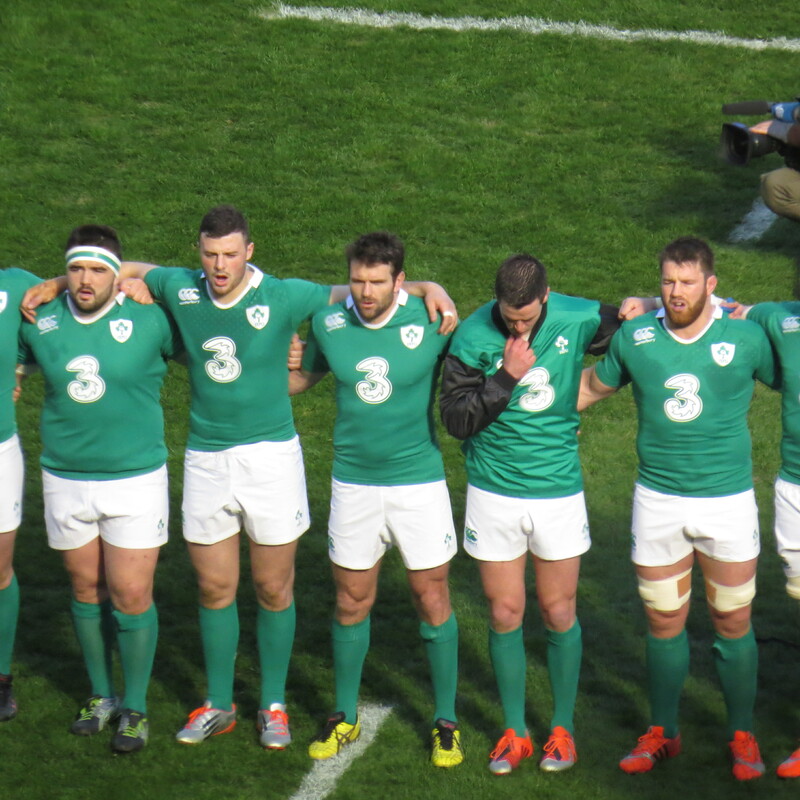 Both anthems were sung with gusto, the brass band accompanying the Irish, the bagpipes the Scots. 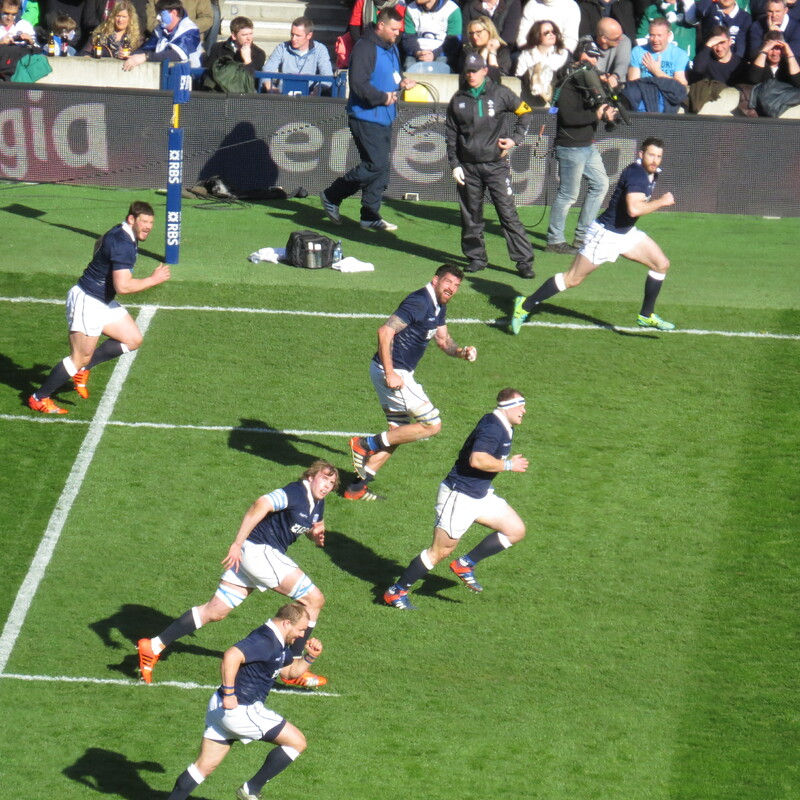 The best of Flower of Scotland however has to be when the music stops and the crowd sing the next voice at the top of their voices. Wonderful! 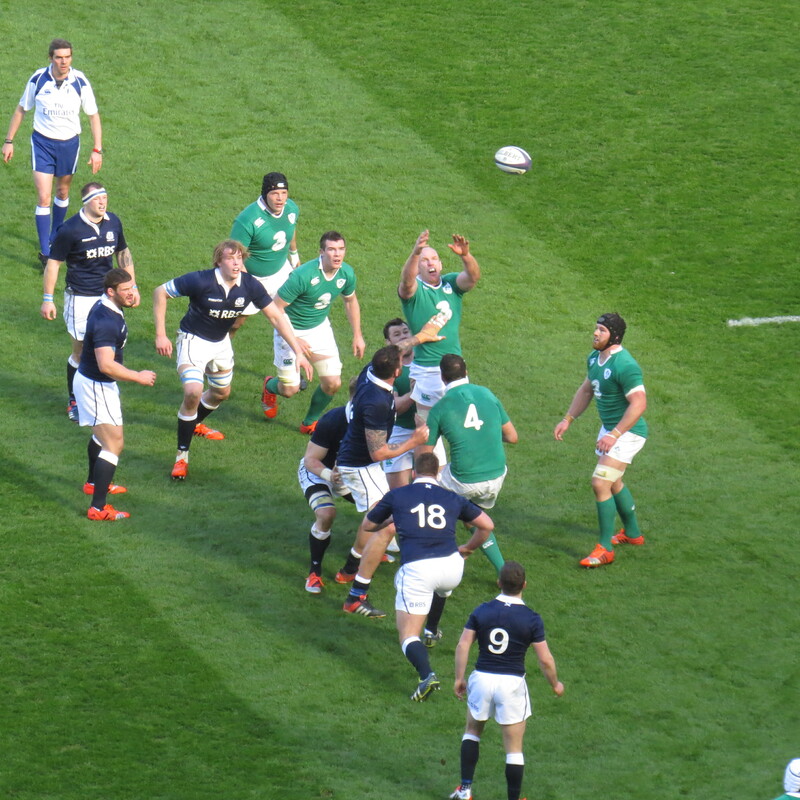 All 3 of the fixtures on the final weekend were in effect deciders, with Wales having beaten Ireland the week before. Wales played Italy in the early game and beat them by some margin after a defiant start by the Italians at home. 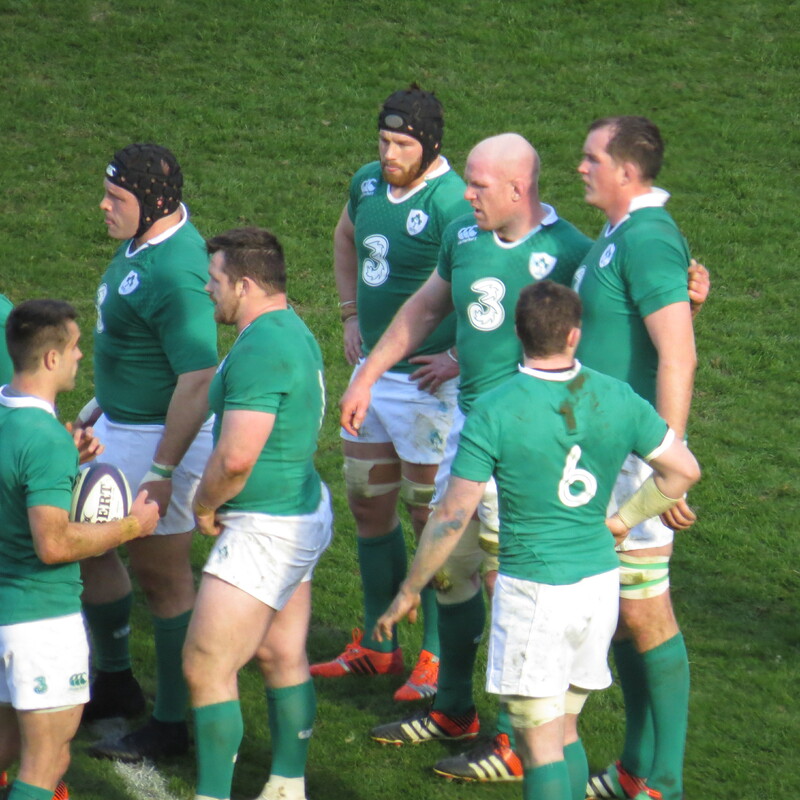 The final result of Italy 20 Wales 61 left Ireland needing a 27 point margin to win the Championship, then England needing 23 points depending on Ireland. 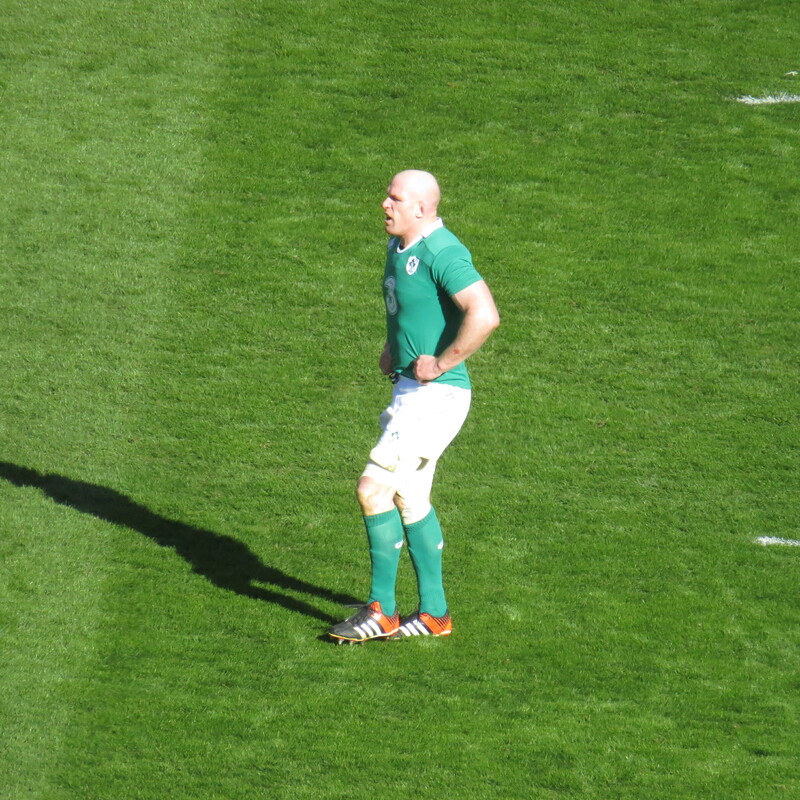 Paul O’Connell seemed pretty determined that his team would be victorious and started off the scoring for Ireland, at 35 he remains one of the best in the world, both as a 2nd Row and a captain! 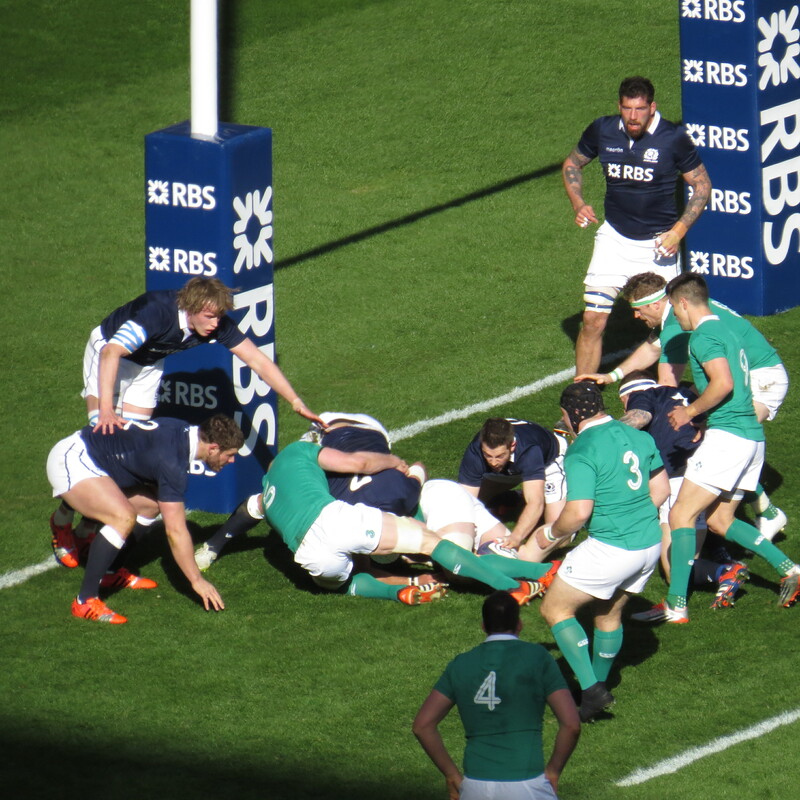 The Scots have at times played with determination and style during the tournament, but I’d say that this game will be hard to find too many positives from. 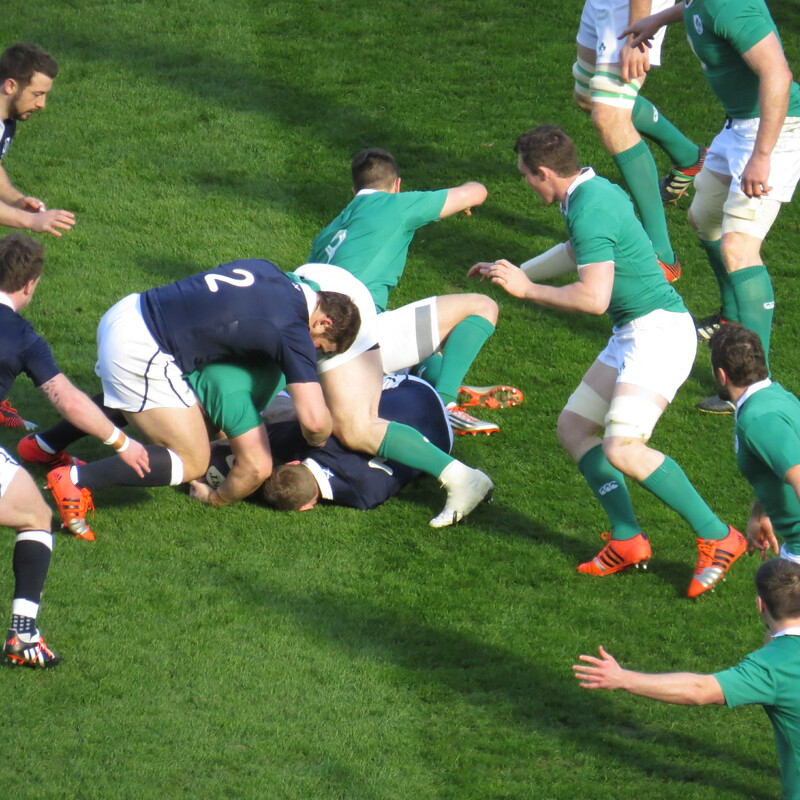 They were completely dominated at the breakdown, with Ireland turning over ball after ball. 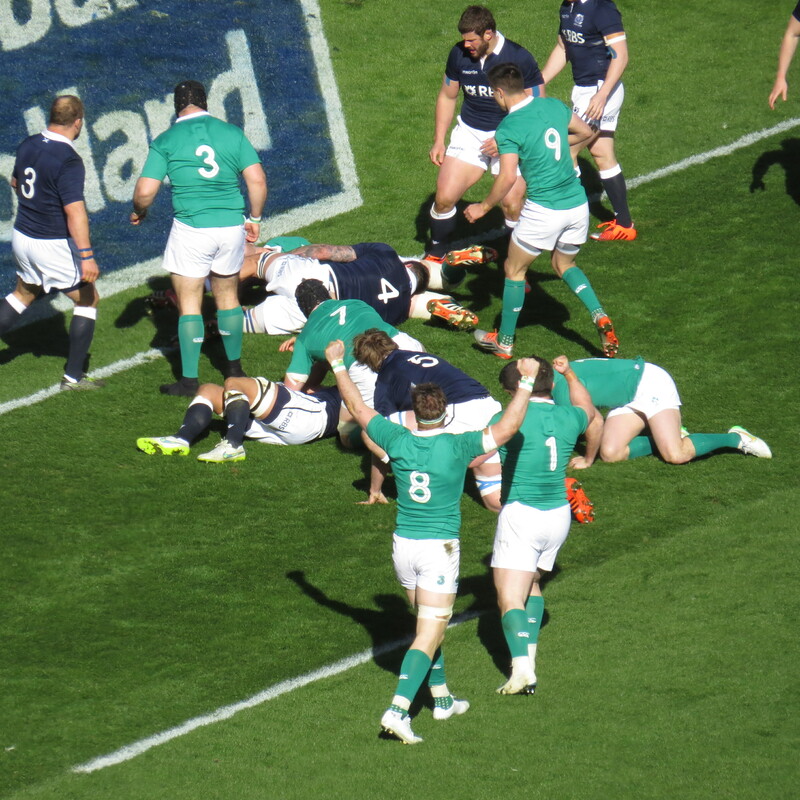 Without going too far into a match report I’d say that Ireland were superior in every department, it was almost inevitable that they’d come away with a record scoreline. 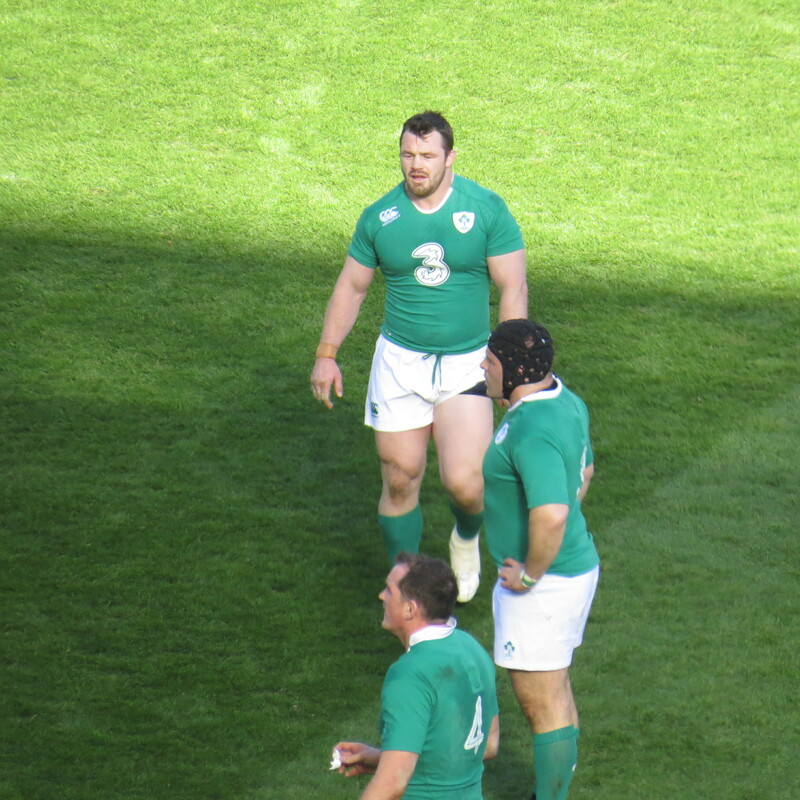 Sean O’Brien was a worthy man of the match scoring 2 great tries, Jared Payne added a further try for the Irish. 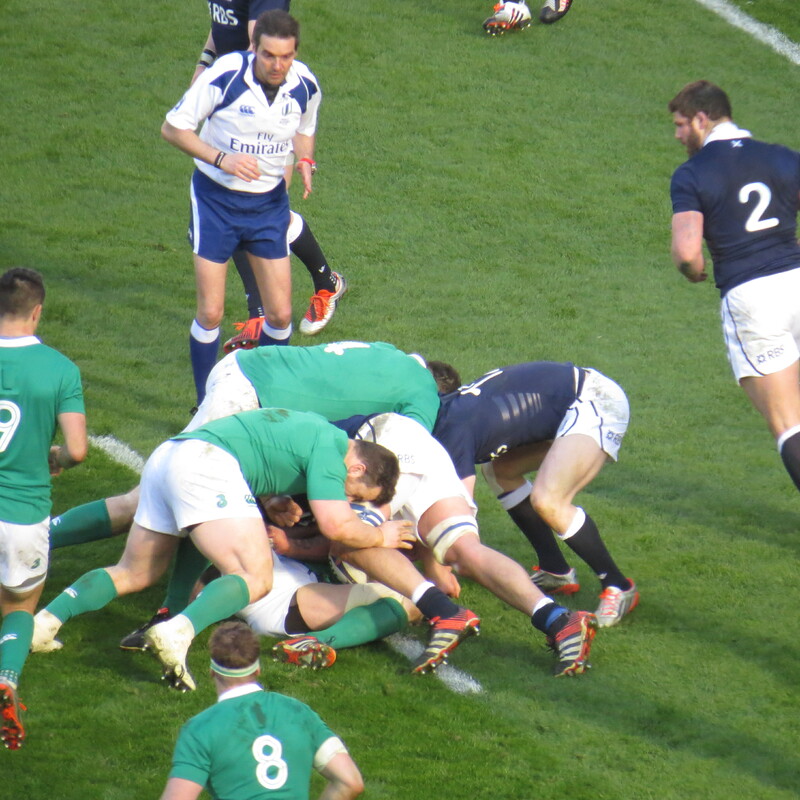 Finn Russell scored a well received try for the home team, but the score finished on Scotland 10 Ireland 40 to put the visitors in pole position to lift the trophy for a 2nd year in a row. 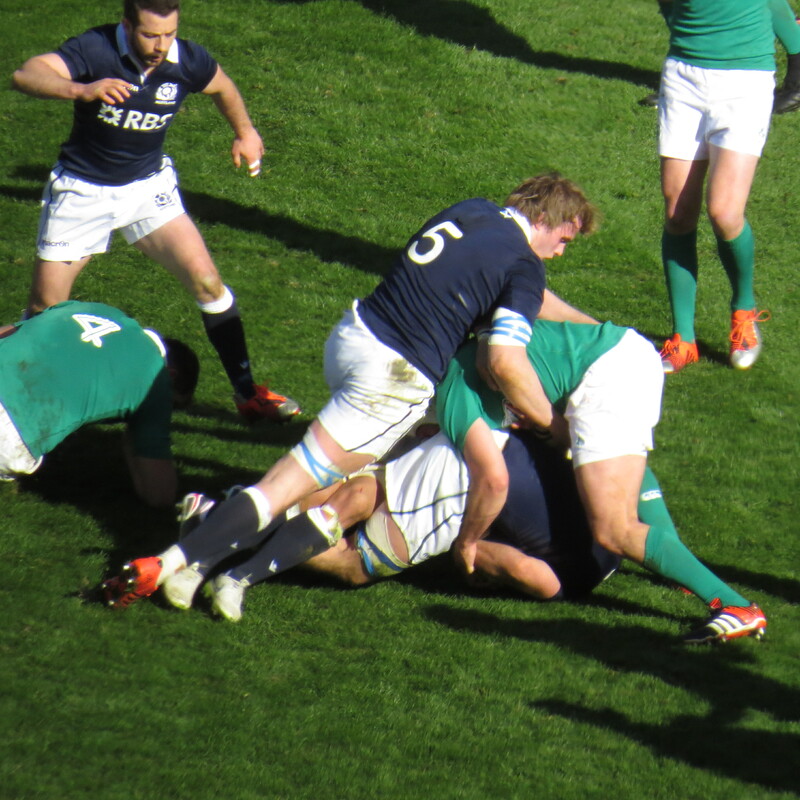 The addition of 30 points to their points tally left England with a huge task of beating France by a clear 27 points. 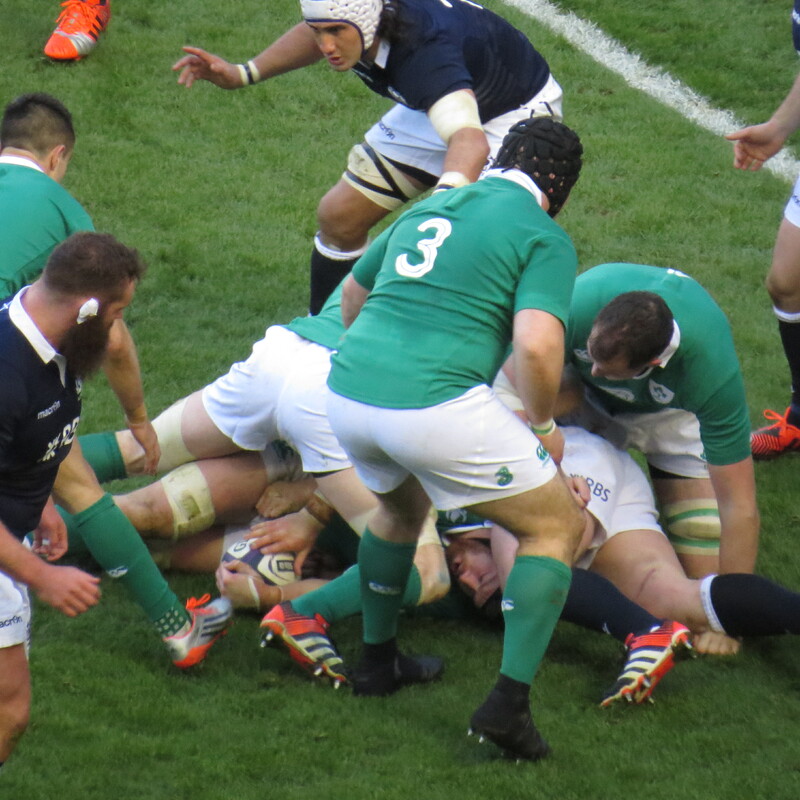 In spite of scoring 55 points themselves they shipped 35 – and so Ireland ae victors for the 2nd year in a row. Congratulations to them! Safety – I felt totally safe at all times – oh, apart from having to get off the train where there was a gap! One of my biggest fears in life! 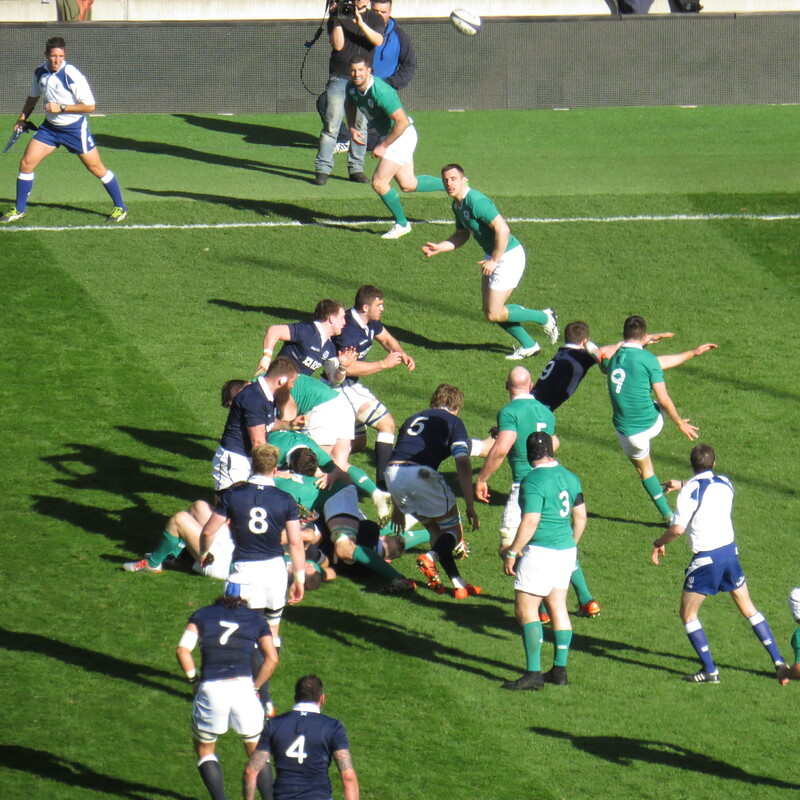 If I’m honest Murrayfield on international day was a bit of a surprise to me! After the game we walked out into a lovely spring day and attempted to watch the England game in the Hilton Hotel – that wasn’t a good plan so we ended up going for a very tasty curry. We then walked in what we thought was the right direction for Princes Street – that old saying about a little knowledge being a dangerous thing meant we had a longer walk than intended – but that was no bad thing after said curry! The requisite Hot Chocolate was consumed while waiting for this train, in Cafe Nero – otherwise known as Cafe Nerd by me – and very nice it was too! 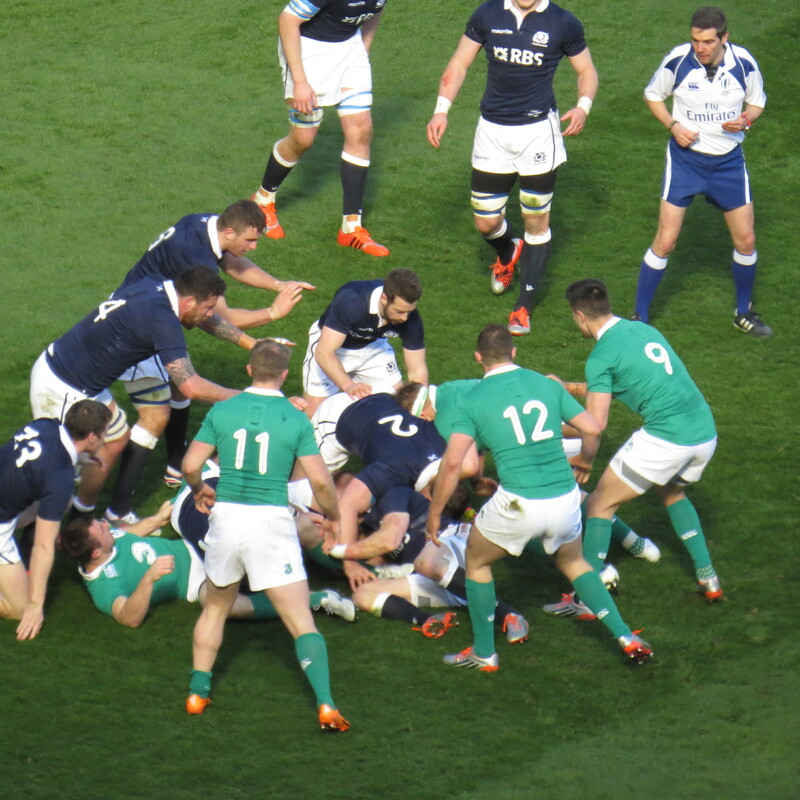 Back to club rugby for me after my 5 in 5 Six Nations matches – an article on In The Loose to follow where I’ll rate the 5 experiences.